Lena Luthor gets a bad rep simply for her last name, and it’s easy to fall into the trap and see why she could be just another Luthor, but she isn’t. Even though in recent episodes, she has kept secrets and has been revealed to have her own Kryptonite stash that she has created herself, Lena is nothing like Lex and Lillian! I’m not going to lie, I LOVE Lena Luthor. She is simply amazing and is played to perfection by Katie McGrath. I title this ‘In Defence of Lena Luthor’ simply to wash away any doubts that Lena is anything except a force for good. Aged 25, Lena Kieran Luthor is one of the most powerful players in the business world in the DC Universe, TV or DCEU. Not only is she the CEO of L-Corp, her families company which she renamed from LuthorCorp after her half-brother’s incarceration, but in Season 3 of Supergirl, she also acquired CatCo Worldwide Media in a power move to keep it out of the hands of Morgan Edge, her nemesis for this season. Lena Luthor was not born into the life of business deals, board meetings, and riches. Born in 1993, Lena was adopted by the Luthors at the age of four after the untimely death of her mother and the threat of the foster care system forced Lionel Luthor to formally adopt the child he had with another woman. Growing up, this was hidden from her, causing a rift between Lena and her adoptive mother, Lillian. After attending boarding school, Lena graduated from MIT and moved on to work with Spheerical Industries at the age of 19. Three years later, she had taken over as CEO of LuthorCorp after her brother Lex’ incarceration serving 32 back to back life sentences and had moved the companies headquarters from Metropolis to National City. Ok enough back story. That is pretty much all you need to know about Lena. She’s smart, she’s powerful, she’s rich, not to mention STUNNING but Lena, like all women, is not defined by her looks and should instead be awarded merit on her actions. SHE IS NOT HER FAMILY! GOT IT? 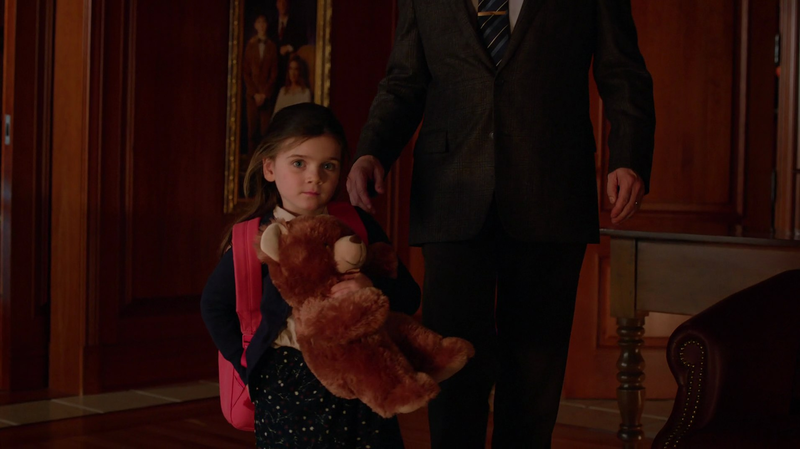 4-year-old Lena joins the Luthor Family and destroys Lex in her first game of chess. Sign her up for MENSA! Lena gets a bad rep from most characters when she first moves to National City, with James Olsen being one of the most vocal. However, our cub reporter, Kara Danvers, see’s nothing but the good in our Little Luthor. Let us have a look at how good Lena Keiran Luthor really is. As the CEO of not one but two business empires in the DCTV Universe, Lena certainly outranks all other business magnates. Pulling information about LuthorCorp (as it is in Supergirl) is very hard to do. So we instead must look to the DCEU for our information. When looking at LexCorp, as it exists in Batman vs Superman: Dawn of Justice, we learn that not only is LexCorp a very large company (like we didn’t know that) but it is going to be spending the largest amount in R&D out of all the other businesses in that universe. With this kind of spending in the DCEU, we can safely assume that in the DCTV Universe that there is similar spending. I’m unaware of if the DCTV Universe is set on a different earth from the DCEU or if the DCTV Universe is set farther along the timeline from the DCEU (I’m going with further along in the timeline as in Legends of Tomorrow we see Themyscira, and we already know of the similarities between these Earths with doppelgangers). Lena has proven to play an active role in this R&D. She produces an Alien Detection Device to Kara on their second meeting. Instead of wanting to use this to make a profit, Lena instead wants to use it for public safety. So owing and being CEO of not one but two empires in the DC Universe definitely puts her at the top of the list for the ‘Most Powerful Person in Business’. So we know that she is rich and powerful, but buying a multi-million dollar company just to save her friends job is taking it a step further than just spending money in R&D to make the world a better place. Lena Luthor, despite being CEO of two companies, is not afraid to get her hands dirty and take a hands-on approach to making the world a better place. A prime example of this is when, at age 19, Lena joins Jack Spheer and his start-up company, Spheerical Industries, in a quest to create a cure for Cancer using nanobots. I ask you this, would someone who is a force for evil try and create cutting edge technology to rid the world of Cancer? I would argue no! When the technology has been completed after she has left, she discovers that it has actually been hijacked by the CFO of Spheerical and chooses to rid the world of its terrible consequences, and in the process kill her friend Jack Spheer. Another is towards the end of season two when she is approached by Rhea of Daxam (unknown by Lena at the time) to build a Transmitter Portal. Lena, seeing only the good that this will bring such as transporting water and food to drought and famine-ridden areas, agrees to help build the portal. Using her genius brain, she manages to succeed in building the Alien Tech from Daxam and, despite her best intentions, brings about a Daxamite Invasion. Lena, however, is the one who puts an end to the invasion. She is able to convert a device which Lex created to irradiate the atmosphere with Kryptonite into a device to irradiate the atmosphere with lead, forcing the Daxamites to leave for good. Sure it was Supergirl who pressed the button to activate the device, but that would not have been even a remote possibility without the brain of Lena Luthor. Lena Luthor’s brain is the eighth wonder of the world. Don’t @ me you know its true! In regards to Lena’s amazing brain, there have been more than a few moments in Season 3 where we have seen this put to good use. Not only does she pull off an amazing feat by stealing CatCo from right under Morgan Edge’s nose, a strategically brilliant business manoeuvre, she is able to contain Reign/Sam using a forcefield in the basement of LCorp and uses homemade Kryptonite (her Kryptonite not Lex’) to control Sam once she ‘Reign’s Out’. Previously, the only homemade Kryptonite that we have seen has been inside of Metallo, and this was unstable enough to cause an explosion. (we’ll get to that story in a little bit). We have seen that there was Kryptonite in Lena’s office when it was stolen by the real Hank Henshaw, and when it is revealed in episode 317 that Lena has made her own Kryptonite, it leaves me to wonder if the Kryptonite that was in her office was actually Lex’ or if it was an early prototype that our fabulous CEO has created herself. To be the first and only person who figures out that Sam is Reign, and to be able to keep Reign under control in a secret bunker for three weeks out of the hands of the DEO to run tests to figure out what causes Reign to appear, that is a thing of pure magnificence! 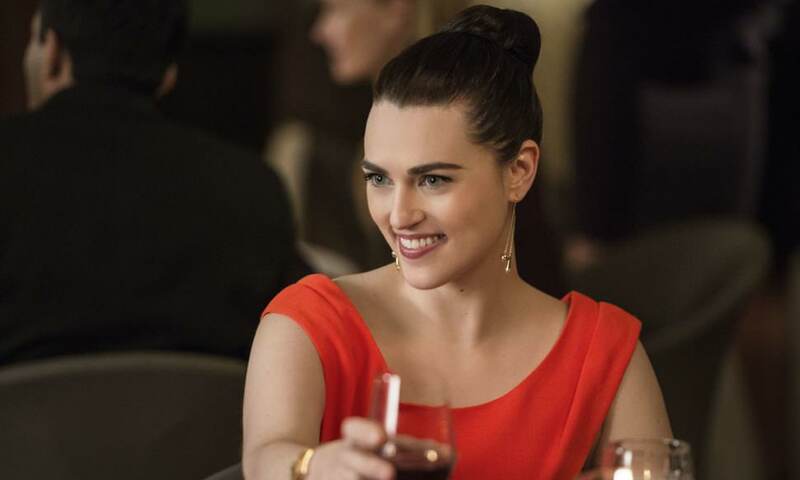 Ok maybe I’ve just turned the fangirling meter up to 11, but this is LENA KEIRAN LUTHOR we are talking about! Shall we continue? Next thing I want to point out is that Lena Freaking Luthor KNOWS that Alex is part of the DEO. She knows that the DEO exists thanks to Lillian. And if she knows that Alex is part of the DEO, there is absolutely NO WAY that she doesn’t know that her BFF Kara is the one and only Supergirl. I simply refuse to believe it! And if we follow this line of thought, then it means that she has kept Kara’s secret to herself and has not told a living soul. With this mention of the one and only Lillian Luthor, it’s time to bring up another point in my argument. Lillian Luthor is quite possibly worse than Lex, and Lena was brought up by this woman who hated her and only says that she loves her when she wants something. For example, Lillian had her cyborg Superman steal the Medusa Virus from the Fortress of Solitude, using Supergirls blood to gain access to it. She turned to Lena for her help with obtaining a certain isotope which would spread the virus and kill all the Aliens in National City. Lena however, turned her back on her family and did what was good and right. She swapped the isotopes, making the virus inert and called the police on Lillian, ensuring her incarceration for attempted mass murder and for being the head of a terrorist agency. Lillian didn’t stop there though. She framed Lena for breaking Metallo out by giving him Kryptonite, then broke Lena out to gain access to Lex’ vaults. Lena stands up to her mother time and time again, proving that she is nothing like the stereotypical Luthor everyone has been led to believe she is due to her last name. She doesn’t only stand up to Lillian. In season 3 she has been given her own villain, Morgan Edge. Edge is a prime example of the patriarchy, and Lena takes none of his bull. She stands up to him time and time again, faces off against him, and is almost assassinated by him after taking a stand against him for defaming her and blaming her for lead poisoning in schoolchildren caused by her lead device (when he actually poisoned the children when they were in a swimming pool. NOT COOL DUDE!) But Lena just keeps on going. She doesn’t stop. She calls him out at every chance she gets, and like I mentioned earlier, she snatched CatCo from underneath his very nose! The last point I want to make before I finish up is that Lena is such a good friend. I know that the phrase that she and Kara say all the time to each other is What are friends for. But Lena isn’t just a friend. She is one of the best friends you can have! once you have her love and trust, I think its very hard for you to lose it as she will fight for you. She constantly is a source of comfort for Kara, encouraging her in her journalism and even fills her entire office with flowers after she published an article about her distancing her from the Luthor name. She is part of the ‘Cool Aunt Brigade’ to Sam’s daughter Ruby. She is even the one that Ruby calls when Sam goes missing at the Ice Rink! Sam trusts Lena enough to put Ruby’s life in her hands when they discover that Sam is Reign, so if Sam can trust that Lena is good, why can’t you? How can you say that Lena isn’t good? Look at her with her found family! Ok, ok, I know that I’m probably rambling by now, but hopefully, the evidence I’ve provided in this article will convince you (if you didn’t know it already) that Lena Keiran Luthor is a force for good! It’s like Kara says, Lena is not Lex just like she is not Superman. Lena is her own woman. She has her own choices, her own life to lead, her own mistakes to make. And if she does make any mistakes, then it’s up to her to make them right (like when she got rid of the Daxamites after leading them to National City in the first place.) And that, my fair people, is why Lena is nothing but good. Previous Post “Krypton” Episode 107 Recap: 20Gayteen Provides!